Show your school spirit with this long sleeve t-shirt from MV Sport. 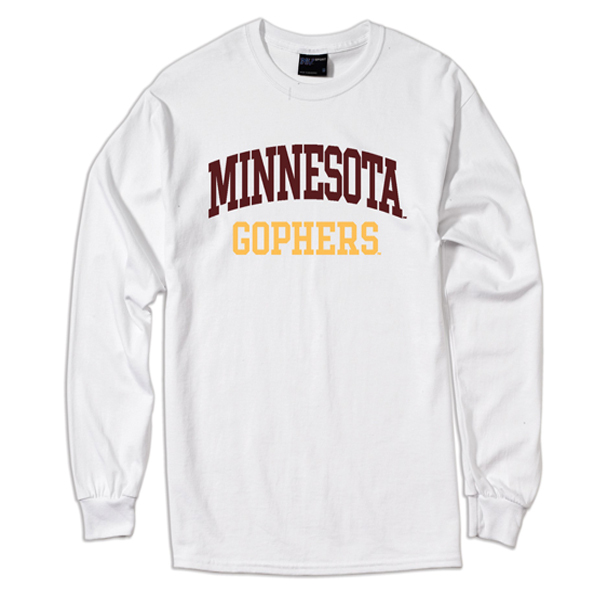 Featuring Minnesota Gophers screen printed across the front chest. 100% cotton.